I am a qualified Illustrator working freelance in the South East of England providing a bespoke service, producing hand drawn images that can be used for a wide range of purposes including; cards, books, advertising, logos, packaging and giftware. I specialise in hand drawing animals and particularly bunnies as cute characters or in a realistic style, using both watercolours and colouring pencils. 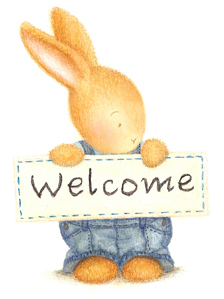 This is a style that I use within my card range Bobby Bunny and Friends, that can be purchased from my online shop. I am however not limited to this and can work in a number of different ways using different subjects. So if you have a brief that you would like to discuss please don’t hesitate to contact me, and I hope that you enjoy browsing my website.